"Viborita" by Francisco Lomuto y su Orquesta Típica, 1944. “Viborita” by Francisco Lomuto y su Orquesta Típica, 1944. “Viborita” is other of Arolas’ delicate tangos, with the peculiarity of having only two parts, without a trio, as was his custom. 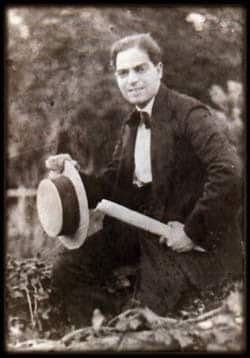 Recorded in 1920 for the first time by the Orquesta Típica Select of Osvaldo Fresedo. Its music sheet was not published until after 1930, when the nephew of Arolas received a pack with manuscripts. That is why it appears published as posthumous work. Wonderful rendition of this tango to dance at the milongas is the one recorded by Francisco Lomuto in 1944. Continue reading.